London College of Music ( LCM ) Examinations, in collaboration with Midisaurus Music, is offering "LCM Preliminary Level Music Theory Examination" with online assessments for young beginners. Midisaurus Music subscribers gain instant access to beginner music theory topics and hundreds of assessment exercises online. 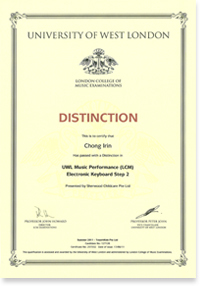 Teacher subscribers can self-register their students online for "LCM Preliminary Level Music Theory Examination". The examinations are conducted online in school, in the comforts of a home-school, or in a private music studio, with the teacher as the exam invigilator. The examinations offer certifications by the University of West London. London College of Music is a college of University of West London. It is currently the largest specialist music and performing arts institution in the UK. Click here for more information (registration, rules and regulations) regarding LCM Examination. © Town4kids Pte Ltd. CRN 198301242G. All Rights Reserved.